The 11-day European Championships have opened in Glasgow to much fanfare. The biggest sporting event since the 2014 Commonwealth Games, it cements Glasgow’s reputation for hosting big events on the world stage. High calibre events are key to the city’s economic success and have had a knock-on positive impact on the hospitality industry. 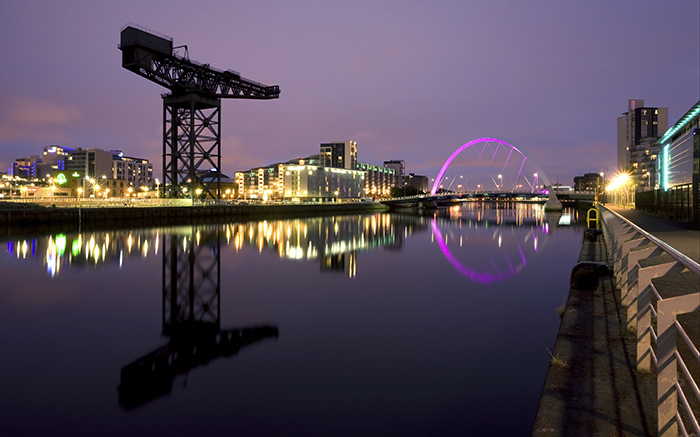 Glasgow 2014 brought an estimated £740 million gross to the Scottish economy over the eight years from winning the bid to hosting the event, and the city is still reaping the long-term benefits of the games’ positive legacy. Glasgow is now ranked number five in the world as a host city for sporting events and this strong reputation has renewed confidence in the city as an international destination of choice. This shows in the numbers, with the hotel industry across Scotland outperforming the rest of the UK in 2017 and Glasgow hotels boasting strong occupancy rates. Numerous big hotel chains have moved into Glasgow in recent years including the Village Hotel, Travel Lodge and Ibis Styles Hotel. The newly opened Radisson RED – the first in the UK - looks set to take advantage of its proximity to trendy Finnieston, with its distinctive sense of style. Two minutes away from the SSE Hydro, the hotel will also benefit from the popularity of this busy music and entertainment venue, which sees more than a million visitors through its doors each year and has played host to major sporting events like the 2015 World Artistic Gymnastics Championships. It’s also a key venue for the European Championships. Other hotels due to open this year include Motel One Glasgow and the Marriott’s Moxy hotel, while it’s expected that a total of 1000 new rooms will be added in 2018 and again in 2019. With one million residents, visitors, spectators, athletes and media to be part of the European Championships and cultural events and Glasgow’s pubs, clubs and restaurants’ opening hours extended by an extra hour for the duration of the competition, the city’s hospitality industry only stands to benefit from its reputation as an international sporting destination of choice. Johnston Carmichael’s hospitality and tourism sector team follows developments in the hotel and leisure market closely. If you require any assistance or advice please feel free to approach us to see how we can help you.